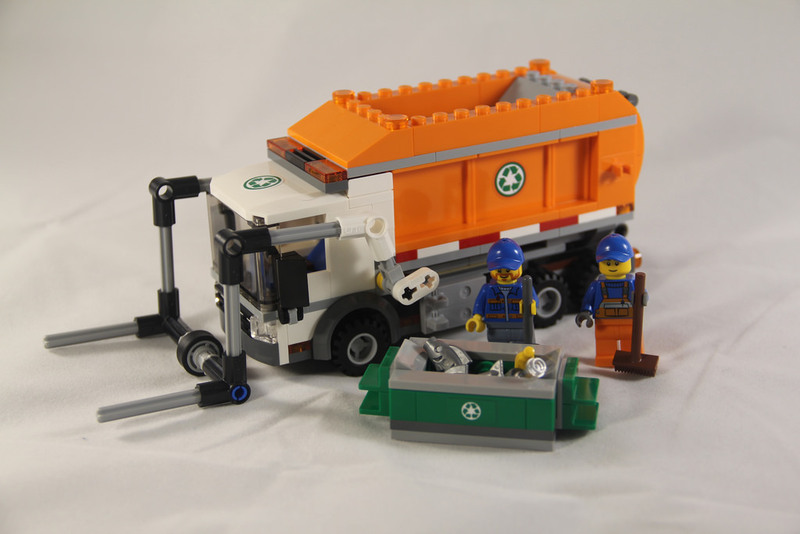 It’s been a fair while since I’ve done a LEGO City review, so I thought I’d get back into one of my favourite themes with my first garbage truck. 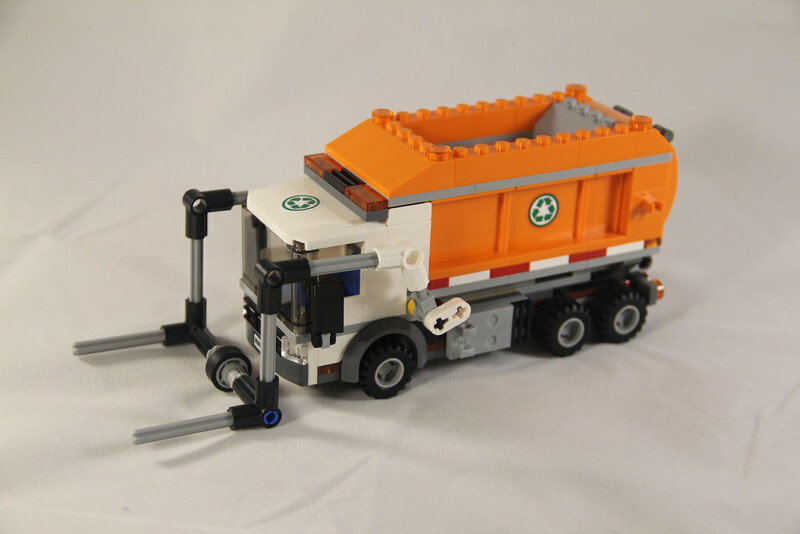 LEGO has produced a number of garbage trucks over the years, with the first one, 6693: Refuse Collection Truck way back in 1987. 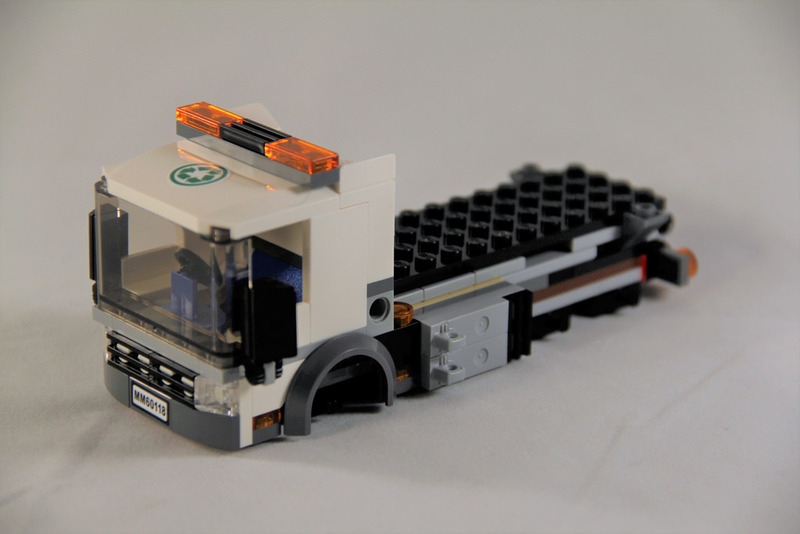 There’s been little ones like 6564: Recycle Truck, and big ones like 7599: Toy Truck Getaway from the Toy Story theme. 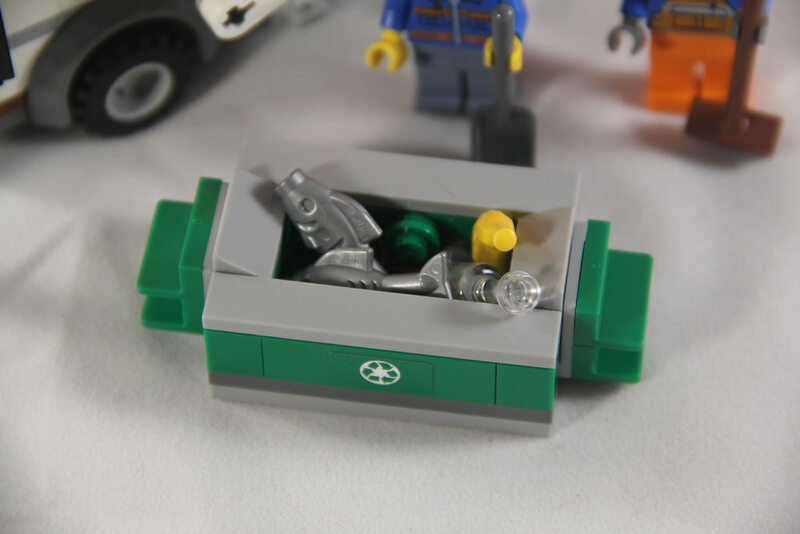 This vehicle comes with a couple of “Refuse Disposal Technicians” (or garbos as many Aussies know them), and a green brick built bin. Inside the box will be three numbered parts bags, a couple of instruction booklets, and a sticker sheet with nine stickers. 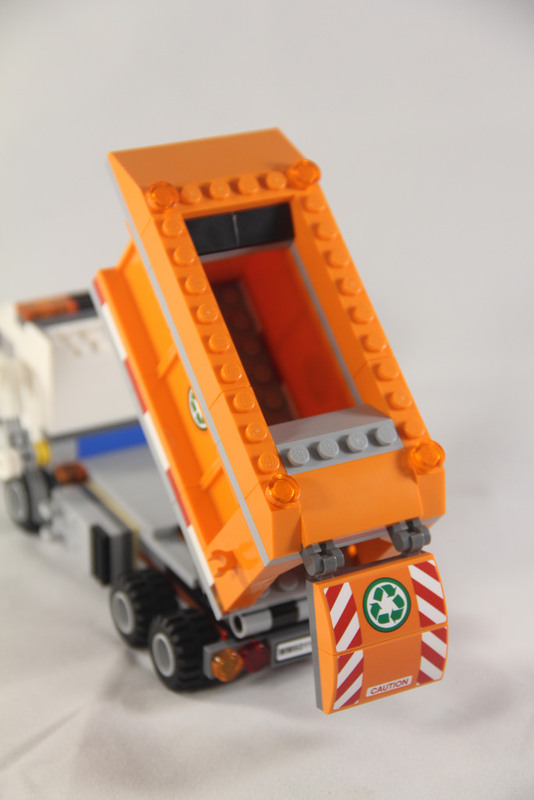 The Garbage Truck included brand new bright orange wall elements in both the 1x2x3 and 1x4x3 varieties which are still only available in this set, as well as a couple of bright orange 1×2 bricks with horizontal clip, also found in one The Force Awakens sets, 75140: Resistance Troop Transporter. Other interesting elements include a 2x4x2/3 bright orange plate with bow, and some hinge plates. I was particularly happy with the vertical windscreen, the fish, and the banana. I’ve not got many of these, so having some extra copies of them was great. 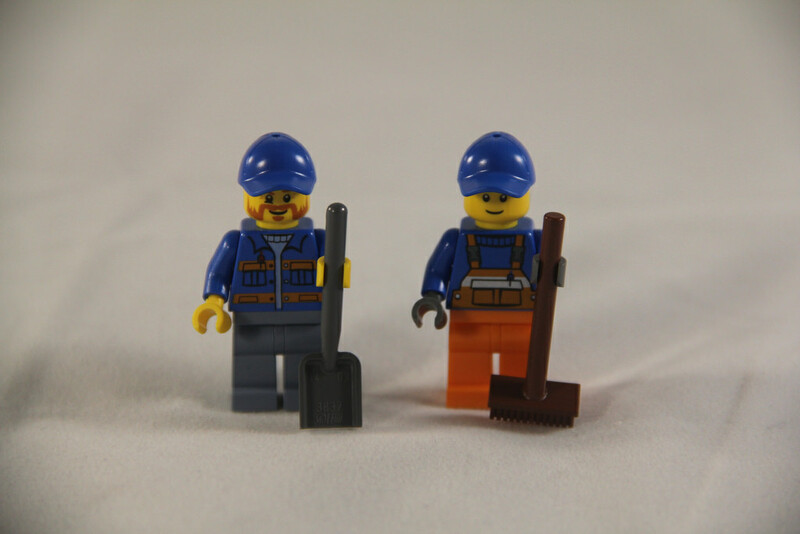 The minifigures are relatively standard for a City set, with blue shirts and caps, and standard varieties of workwear. There’s nothing all that special about them, but again, more council workers are good to have. A clean city is a happy city! Being a garbage truck, this set’s play features are rather predictable. Pick up the bin, empty the bin, drive around, empty the truck. The play features themselves are excellent. The motions of picking the bins up and emptying the truck is excellent, but there are a couple of little downsides. Firstly, when picking the bin up, you need to tip it quite quickly as it gets to the emptying point almost over the cab. When you do get it over the right section of the truck, the bin is wider than the opening of the truck, so rubbish misses the hole and hits the truck walls, bouncing out. It’s not the end of the world, but it’s not ideal in a clean city environment either. I guess that’s where the minifigures come in with their broom and shovel. Bag three finishes off the build, with the orange section, and the fork. There’s only a tiny amount of SNOT work here, with the fuel tanks (maybe?) as outward facing. The fork is a little fiddly, but would be a great way to introduce younger kids to the wonderful world of Technic. All in all, a very simple build. Possibly the trickiest parts are applying the stickers so they’re straight. I like the bin, it’s simple. Sure, it’s a little small, and I think it needs a lid, but it’s good. The truck is great, but the only thing letting this set down is that fork. 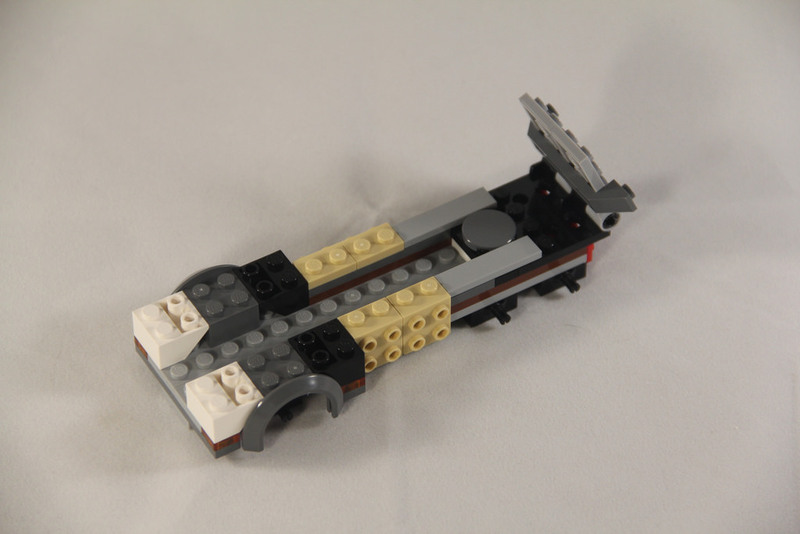 It’s too Technic-ish. It doesn’t fit with the aesthetics of the truck. That, and the forks themselves can’t fold up. The little dolly-wheel is a clever idea, but it doesn’t make up for it. Also, using orange trans pieces as lights on an orange truck was a it of a mistake. They’re lost in the colour. Swapping them out for red ones would have been an easy fix – I’m not sure why it wasn’t done. This set is still available at retail. For a $30 set, and you’ll most likely be able to find it on sale somewhere in the country, it’s good value. There are some good parts. If anything, the parts can come in useful somewhere. Sure, the set won’t really increase in value that much, but it’s still rather cheap. 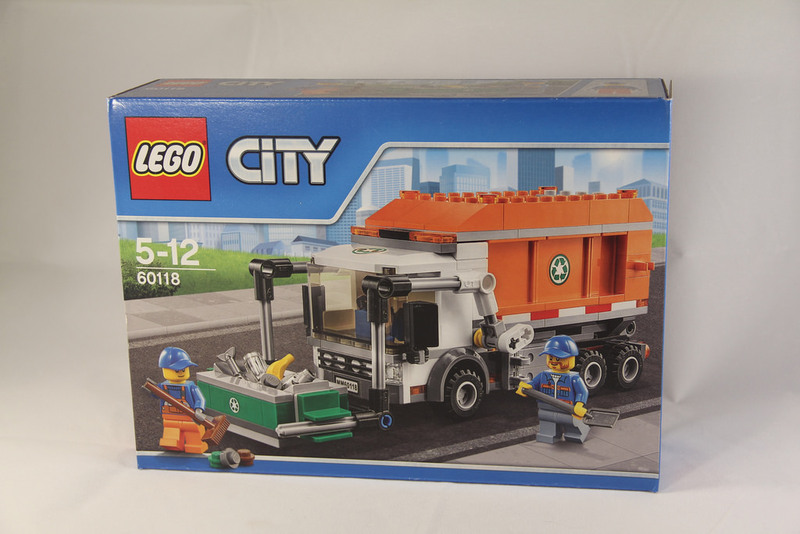 It’s another garbage truck – the last proper one we saw for City was back in 2012 with 4432: Garbage Truck. There hasn’t been too many decent ones, so getting this one is most likely worth it. After all, what city is complete without a garbage truck? Without them we’d all be living in filth. 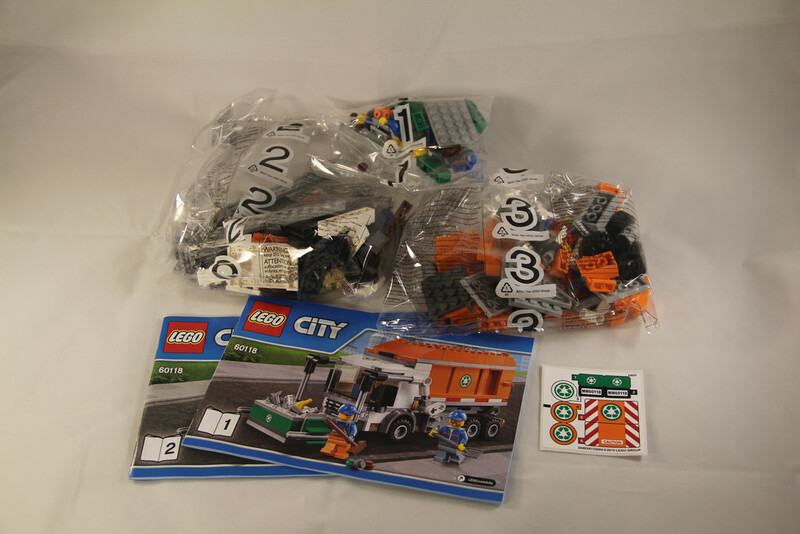 Next week I’m taking a look at a very exciting set, and one I purchased nice and cheap from LEGOLAND Malaysia – 60097: City Square. It’s a big one!